Melting temperate glaciers, such as the Stikine icefield in Alaska and Canada contribute to rising sea-level, and therefore it is important to monitor how quickly individual glaciers are losing mass. Julie Elliott and her research group at Cornell University are keeping a close eye on the glaciers of Alaska using imagery snapped by satellites. Elliott used two different types of imagery: ASTER and SAR. ASTER (Advanced Spaceborne Thermal Emission and Reflection Radiometer) is an imaging instrument onboard NASA's Terra satellite that uses different wavelengths of light to image the surface of the earth, and can be used to map elevation. 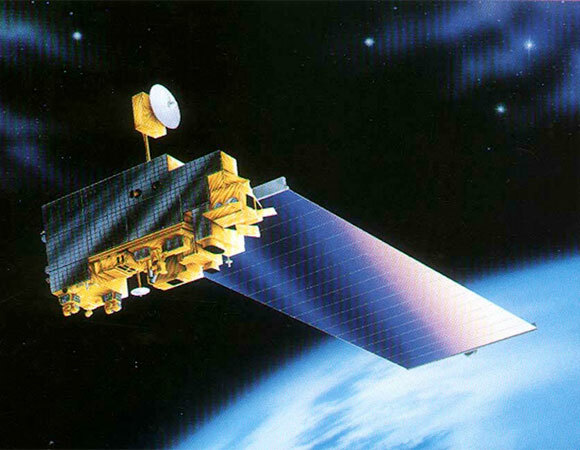 SAR (Synthetic Aperture Radar) creates images of the surface of the earth using radio waves. In this case, the SAR images were collected by the Japanese satellite ALOS. 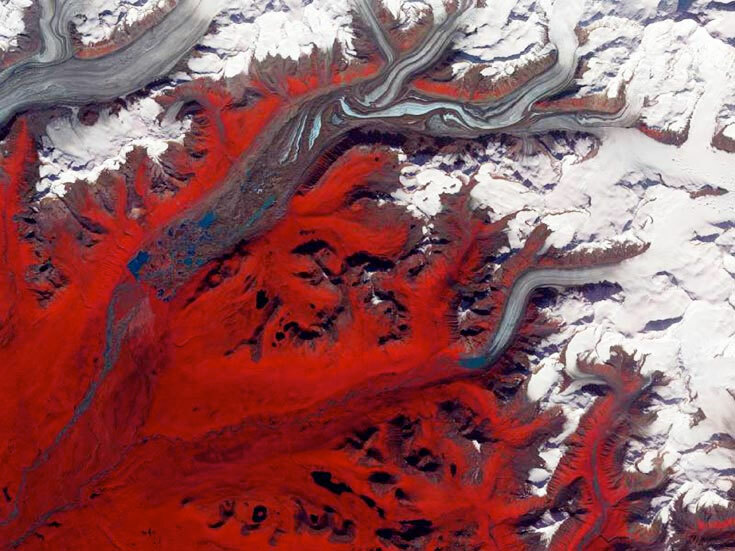 Elliott uses pairs of either ASTER or SAR images of an Alaskan glacier, and is able to see how an individual pixel has moved between the time the two images were taken. She can then convert the pixel motion to estimate glacier velocities. The pixel tracking generates estimates of two dimensional, horizontal motion from which velocities are derived. To estimate elevation change rates, Elliott uses ASTER images that have been transformed into Digital Elevation Models (DEMs) that show how glacier elevations differ and can then infer average elevation change rates. If the glacier has thickened, the rate will be positive. If the glacier has thinned, the rate will be negative. Speed and elevation can be translated into mass change, telling her how much melt water could be heading for the ocean. Satellites allow scientists such as Elliot to track glaciers in remote and difficult to access regions of the world, therefore providing a much more accurate picture of melting glaciers’ contributions to future sea-level rise. Melkonian, A. K., M. J. Willis, M. E. Pritchard, and S. A. Bernstein (2009) Glacier velocities and elevation change of the Juneau Icefield, Alaska (abstract C51B-0490,), AGU Fall meeting.